Our Thermal Imaging Division, STIS Thermal Imaging Services, provides a wide array of Radiometric Thermal Imaging Services for non-destructive testing of materials, structural integrity, electrical systems and engine components and cooling systems. Applications are unique to environmental surroundings and the ability to control thermal transitions. STIS certified thermographers use state of the art thermal imaging equipment to perform their inspections and confirm findings with conventional equipment. Applications span well beyond the marine industry and include residential and commercial structure inspections for water damage, leaks and a variety of other applications. This service has proved invaluable to our clients who suffered damage to their properties resulting from hurricanes, tropical storms, construction deficiencies, etc. After widespread damage, such as that from hurricanes, concentrated in a specific geographical location, many home and business owners are left to deal with insurance adjusters that are only equipped with the experience and knowledge to offer settlement based on visible damage. 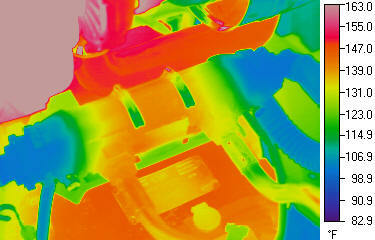 Our thermal imaging service can identify water damage to structures, insulation, flooring, etc. that is not visible to the naked eye and has saved thousands of dollars for our clients. The inspection revealed more than 3 times the damage sighted by the adjuster for the insurance company. 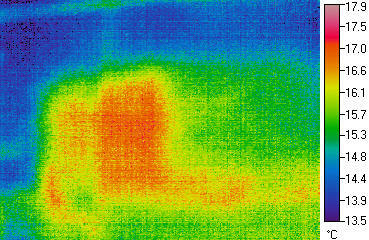 The following pictures depict the thermal image, clearly showing the water damage, and the visible image (taken simultaneously) which shows no clear visible indication of the extent of water damage in this area. 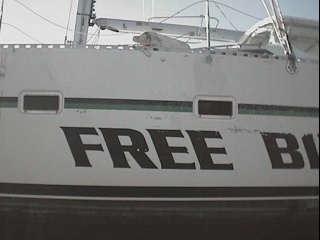 This vessel was washed ashore into a stand of trees by a tidal surge from a recent hurricane. Repair facilities have a difficult task in preparing estimate for repair when the extent of damage cannot be determined by conventional means without destructive testing (drilling, cutting, etc.) and even then the full extent of damage may not be known until repairs are underway. Increasingly, insurance companies are allowing for the expense of thermal imaging to accurately determine the extent of damage to a vessel. 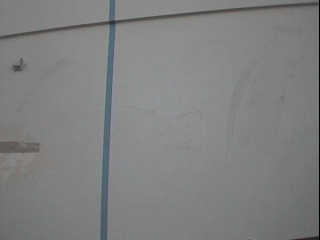 The following photos clearly depict the delamination suffered in one of many areas on this vessel. When performing thermal imaging inspections of composite hulls, it is possible to detect all anomalies during the course of a single inspection such as structural bonding integrity of stringers and bulkheads, delamination and water intrusion composites and coring materials. The following photos clearly show water intrusion that has entered this fully cored hull over the years and originates at a small vent fitting on the hull side. Finding hot spots on engines has never been easier. 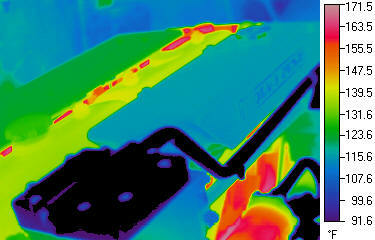 Our thermal imaging allows the entire engine to be recorded with only 2 or 3 thermal photos. Each photo records 72,000 pixels, each with a unique and accurate temperature designation. 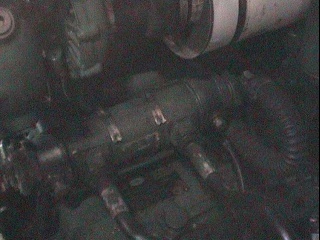 Our software allows us to easily record and detail problem areas on the engine and appurtenances. Heat exchangers can be scanned for blockage problems, injector problems can be detected early and a variety of other early detection findings can be sighted from the same images. 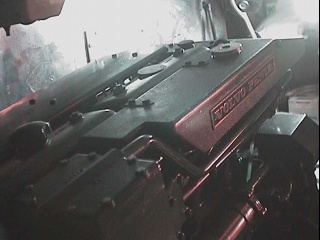 The following 2 sets of photos depict a view of a marine engine under full load at sea trial and a heat exchanger scan.